Successfully Added Caller ID Stereo Bluetooth Headset to your Shopping Cart. Bluetooth stereo headset with incredible multifunction features such as a built in OLED screen for displaying caller IDs whenever you receive a call. Perfect not only for handsfree and convenient phone calling, this mini sized Bluetooth stereo headset also has A2DP and AVRCP profiles and DSP digital sound enhancement for getting crystal clear reception of music straight off a mobile phone. 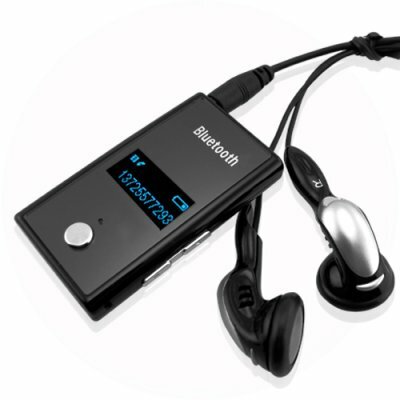 A great idea in Bluetooth technology, available at Chinavasion's always super low wholesale price. on 2009-07-19 19:48:13 Excellent Product and Fast Delivery! Very Fast Delivery! ordered on 07/14/2009 and received it on 07/17/2009. Pros: (1) Nice appearance! (2) Small and Slim. (3) Easy pairing! (4) Comfortable Earphones and great quality sound! (5) Caller ID feature! (6) Battery indicator display. (7) Pairing status display. (8) Easy earphone replacing. Paired it easily with Mega Resolution Camera + Mobile Phone with Dual SIM [CVSL-106]. I am very happy with this product, rated 6 Stars. Nice choice chinavasion! Fast delivery is very much appreciated!